•	Consultations of various specialists. Unfortunately, we must conclude that the municipality funding is insufficient for quality implementation of the activities planned because we have to pay the specialists who will conduct the sessions. From September 2016 until June 2017, 54 children with special needs attended at least one session in our class. Of course, the society will actively participate in calls for projects, but for the process to continue, financial or material help is necessary. If you wish to support the work of our society and the effort to improve the life of people with autism spectrum disorders, you are kindly invited to support the society with a donation! The society has the status of a non-profit organisation of social value, so you too will be entitled to tax relief. By helping others you help yourself! Anastasija is diagnosed with antenatal CNS damage. At the age of 2.5 the girl began to make her first steps. The movements were unstable and tense. At present, Anastasija still doesn’t speak, isn’t able to respond to simple requests, isn’t able to concentrate attention for a long time, has communication problems. All this time the girl has been in continuous rehabilitation, visited a speech therapist, had reittherapy, physiotherapy procedures and worked hard at home, but child’s development proceeded at a very slow pace. Finally, the doctors at the centre of neurology in St. Petersburg gave hope that Anastasija could recover, but to make it happen, she needs to undergo the course of procedures that requires considerable financial resources. 4-year-old twin sisters Anna and Sofija live in Rezekne with their parents and an older brother. Both sisters are seriously ill. The girls are diagnosed with mixed specific development disorders, a delay in language development related to a delay in mental development. Approximately at the age of 2 the development of Anna and Sofija stopped. The girls don’t respond to their names anymore, don’t involve in games with other kids, don’t make eye contact. Their attention was unfocused, they showed no interest in other kids and everything around them. 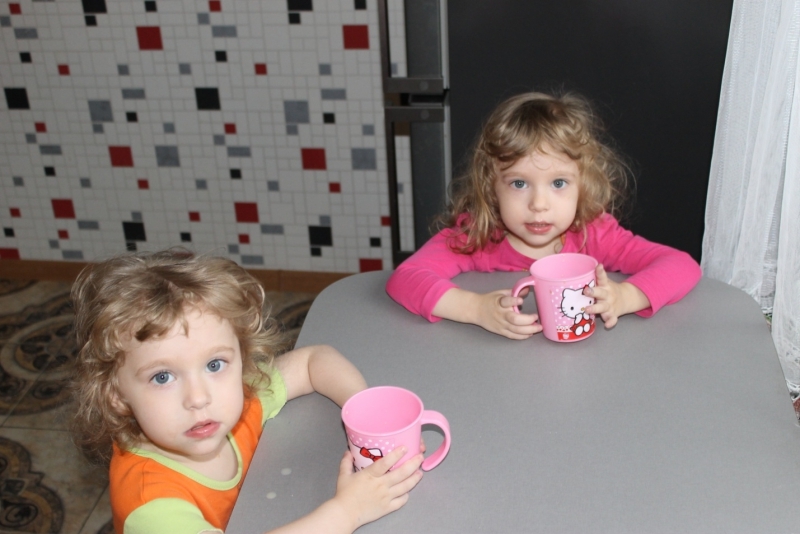 The speech and language development of both sisters is at a level of a 6-month-old child. They don’t speak, only make sounds in their own language. Sometimes they respond to their names. The girls don’t perceive and react to requests. In order to promote girls’ physical and mental development and prevent the deterioration of their state of health, the family covers the costs of speech therapist, ergotherapist, and psychologist sessions. 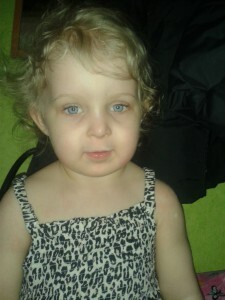 Up until now, the parents were able to pay for reittherapy sessions, but now it is hard to cover all the therapy costs. The family asks for financial help and support. Please, within your means, kindly help my son Vadims. He is 4 years old, doesn’t speak and is afraid of strangers. We attend a specialised speech therapy kindergarten and special education, ergotherapy, audiologist/speech therapy and physiotherapy sessions organized by the society “Autism Support Centre in Rēzekne”. The doctors diagnosed him with the autism spectrum disorder. Treatment for the child requires the help of specialists at Saint Petersburg neurology clinic “PrognozMed” where a 2 week rehabilitation session costs 2000 Euro (the price includes travel and accommodation expenses). I don’t have this amount of money because I’m raising 2 kids alone. I have hope that kind-hearted people won’t be indifferent to the fate of an ill child and will help raise the necessary amount. Thank you in advance, Vadim’s mom. 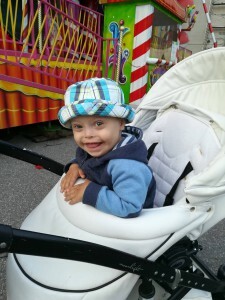 Toms is 2.5 years old, a very sweet and cheerful boy with Down syndrome. Toms is not developing like other children with this syndrome regardless of the various rehabilitation sessions. At 7 months of age he had heart surgery, which was rare and not typical for this syndrome. Having spent a month in intensive care due to complications, the boy had to relearn everything. During this time he underwent many different rehabilitation sessions and his development is gradually improving, there is noticeable progress. Nevertheless, at 2.5 Toms is still unable to stand on his feet due to muscle hypotonia; due to speech and psychomotor delay he still doesn’t speak, cannot follow simple requests. Upon the invitation of the society “Autism Support Centre in Rēzekne”, a neurologist from Saint Petersburg neurology centre “PrognozMed” visited Rēzekne, and having examined Toms, gave hope that with transcranial direct current stimulation and a complex course of treatment Toms will, too, one day say “Mom” and “Dad”, will be able to run together with his sister and brother and will continue making everyone happy with his charming and adorable smile. 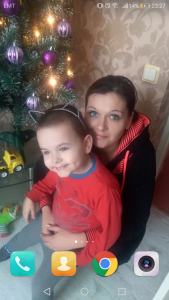 Because we are a family with many children, apart from the help for Toms, the family has many other expenses for the education and care for the other children, thus we are asking for the help of fellow humans, within their means, to donate funds for Tom’s visit to Saint Petersburg for a 2 week rehabilitation session. We are grateful from the bottom of our hearts to everyone who won’t be indifferent and will lend a hand. Uldis is 8 years old and he is a joyful boy. However at the age when children start to speak, Uldis was silent, which caused great concern about his health. Countless visits to doctors and results of medical procedures showed that Uldis has autism, moderate developmental delay, delayed language development. In September 2017 Uldis started going to Gaisma Boarding-school in Rīga. He is friendly with children, he is learning, engages in play and sports together with the other children. One of Uldis’ hobbies is drawing. He draws road traffic and cities a lot. He likes to engage in games with his older sister and younger brother. He is happy when we go on a trip to other cities because it is always something new for him, which he then expresses on paper. We have seen speech pathologists, ergotherapists, have had physiotherapy, music therapy, reittherapy, for 2 years we have gone to the summer camp “The Healing Power of Nature” in Rēzekne organized by the society “Autism Support Centre in Rēzekne”; we have also seen the neurologist A.Munkuyev from Saint Petersburg clinic “PrognozMed”, who visited the children in Rēzekne. Thanks to the doctor’s invitation, the support of the society “Autism Support Centre in Rēzekne” and of course the people around us, in August 2017 we went to the clinic. Having undergone the 2-week treatment course, Uldis immediately showed changes. The boy became more confident towards the environment, showed more interest for communication with people, is willing to learn something new and engage in activities with his peers. The qualification code for the learning programme at school has been raised too. After such an improvement we have an opportunity to go back to the clinic and continue what we have started because there is still room for Uldis’ improvement, however our family is not able to, which is why I am asking for your support and help. I believe in miracles and believe that my child will overcome these difficulties and will be able to achieve even better social inclusion. Kind regards, Oksana, Uldis’ mum.